Life is hard for small and mid-sized businesses. Among the challenges: making decisions about forward-looking technology. Will your existing devices work OK with that new service provider you’re considering? Or will it take weeks of troubleshooting to sort it all out? Recently Patton and Time Warner Cable have worked out a way to ease the pain: interop certification with Time Warner’s SIP-trunking service for SmartNode E-SBCs and VoIP gateways. Patton’s forte is connecting the communications systems businesses already have with the service provider of their choice. The certification represents a three-way win that benefits 1) business subscribers, 2) managed service organizations (MSOs) that sell, implement and support TWC’s service, and of course 3) the service provider itself. Has your business suffered downtime or interruption because of interop issues? How important is certified interoperability for your peace of mind as a business leader? Mr. Gerrity boasts an extensive background in product management, sales, and international business development in the IP Communications, UCSaas, and IoT industries. In his current role, Mr. Gerrity focuses on generating, analyzing, and developing new business opportunities for Patton, with a particular emphasis on leveraging the company’s relationships with strategic and vertically focused partners. With over 15 years in the telecommunications industry, Mr. Gerrity understands the unique issues involved with deploying next generation technologies successfully in the global marketplace. 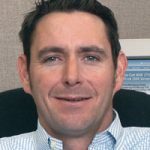 While serving as Product Line Manager for Patton’s Internet Technologies Group, Mr. Gerrity devised and implemented a successful business plan to increase the company’s focus on the transitioning Remote Access Server (RAS) market. Mr. Gerrity has also held various sales and management roles at Purchasepro.com and AT&T prior to joining Patton Electronics in 2001.